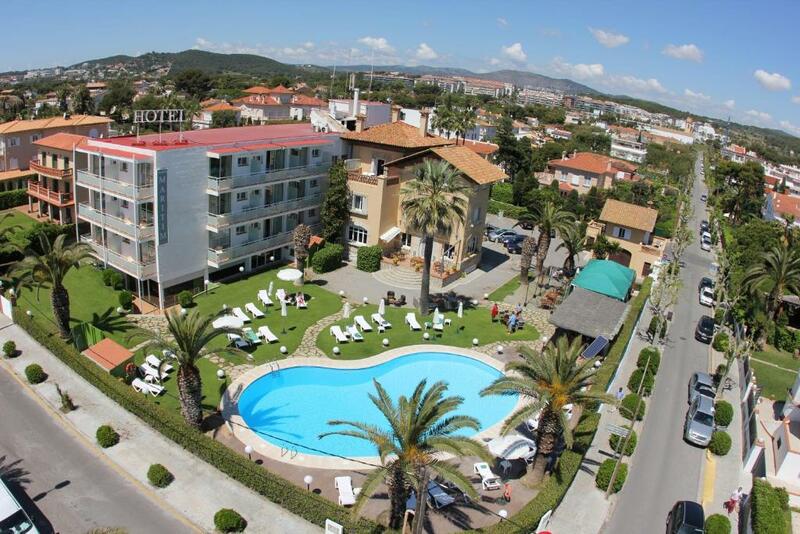 Lock in a great price for Hotel Subur Maritim – rated 8.1 by recent guests! we keep coming back, year after year. Very about this hotel is wonderful. Our small dog loves being close to the beach. We have stayed at the hotel before and chose to go back. 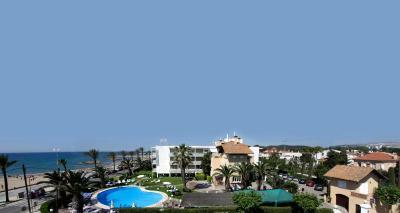 The hotel is fairly small, the staff are friendly and helpful and the rooms are comfortable. The food is very good and reasonably priced. The pool and surrounding area is well maintained and the proximity to the beach and promenade is a bonus. Excellent staff and facilities. Rooms were well appointed. Staff were responsive and attentive. If you want beach front but don't need to be too near the strip - this is a great option. Rooms were clean, basic but had everything I needed. I asked for a shower as I know some have baths, which was kindly accommodated. Complimentary teas and coffee were available 24hrs in reception area, which was very useful as well as the use of bicycles. Staff that I interacted with, where extremely helpful and friendly. 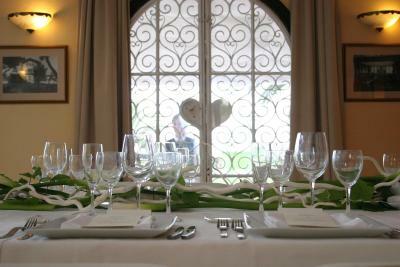 Cleaning staff were exceptional and thorough. Comfortable beds. Clean rooms. Nice staff. Beautiful quiet location. Excellent free coffee. Great views. Close to town but just far enough away to have peace and quiet. 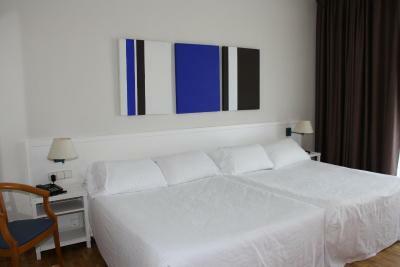 Convenient location, less than 30 minutes from the airport. 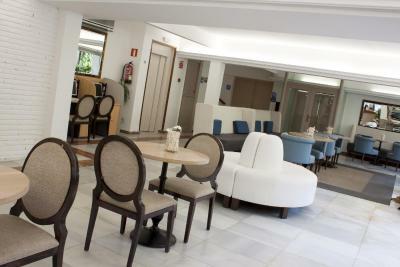 This is an older hotel and does show its age, but the common areas and our room were very clean. The balcony with a view of the sea was nice, and there's a small (room for about a dozen cars) parking lot in front. 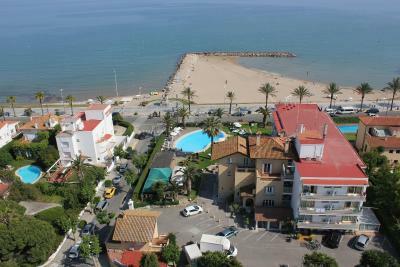 It's also across the street from a nice seafront promenade. 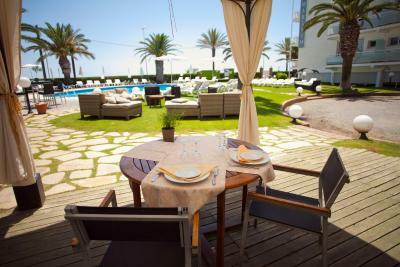 A great location away from the bustle typical nearer the center of Sitges. 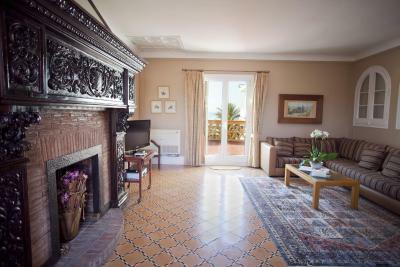 We chose to stay here because of its proximity and easy accessibility to Barcelona Airport (BCN), and its free on-site parking! It was a good choice, and will do it again if a return to the area is planned. 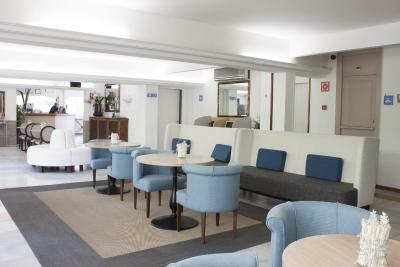 Hotel Subur Maritim This rating is a reflection of how the property compares to the industry standard when it comes to price, facilities and services available. It's based on a self-evaluation by the property. Use this rating to help choose your stay! 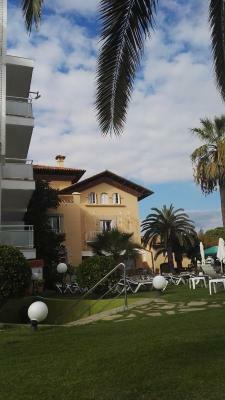 One of our top picks in Sitges.Located in front of Sitges Beach, the Hotel Subur Maritim offers an outdoor pool and free WiFi. 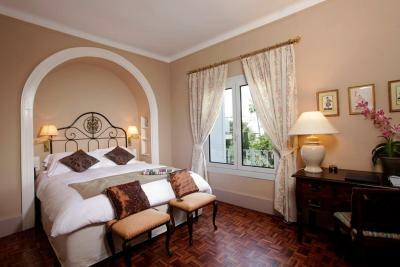 The air-conditioned rooms include a private terrace, most with sea views. 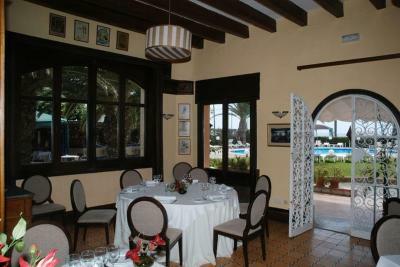 Next to the Hotel Subur Maritim, the hotel’s Cau del Vinyet restaurant is set in a restored 1920s villa. 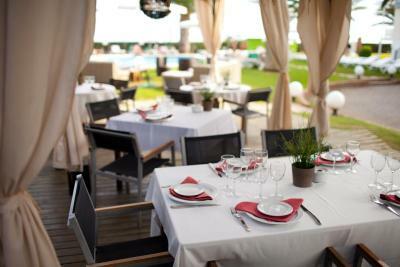 It serves fresh Catalan cuisine, including a daily set menu. 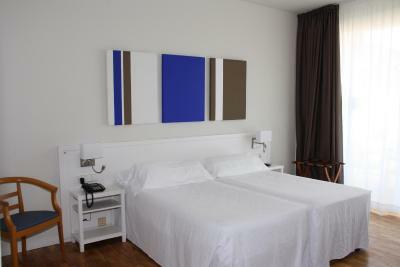 Each room at the Hotel Subur Maritim offers a mini-bar and flat-screen satellite TV. 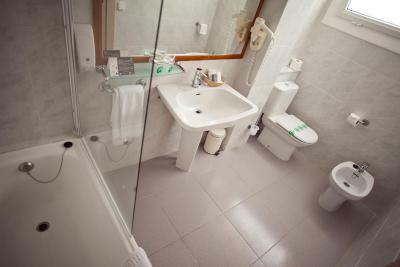 Rooms have a simple, functional design, and include a safe and a private bathroom with a hairdryer. 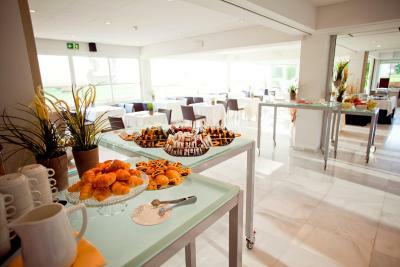 Free coffee and tea are offered at the reception. 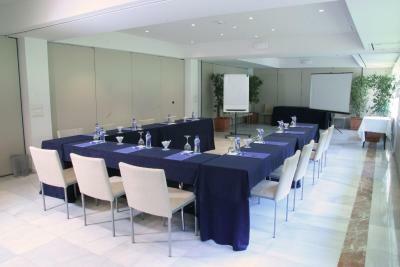 The Hotel Subur Maritim is a 15-minute walk along the seafront promenade from the charming old town of Sitges. Bicycle rental is offered at the hotel’s 24-hour reception, and free parking is available on site. Terramar Golf Course is just 0.9 mi away. When would you like to stay at Hotel Subur Maritim? 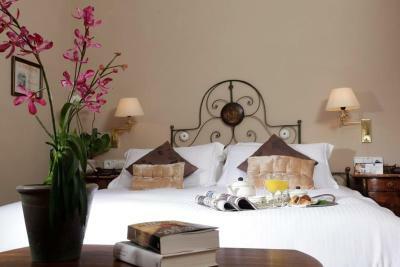 This room has a private terrace and includes free Wi-Fi, flat-screen satellite TV and a minibar. This spacious suite has a separate lounge with a fireplace and sofas and a 460-ft² terrace with lounge chairs and sea views. 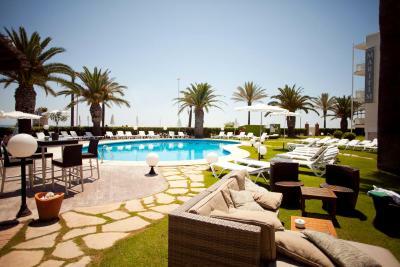 It includes free Wi-Fi, flat-screen satellite TV and a minibar. The bathroom has a round bathtub. 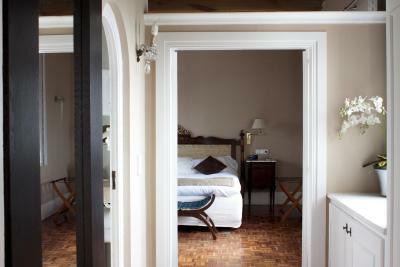 This spacious room has elegant décor and a private entrance. 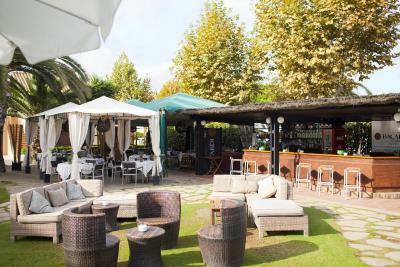 It includes free Wi-Fi, flat-screen satellite TV and a minibar. This room has a private terrace with sea views. It includes free Wi-Fi, flat-screen satellite TV and a minibar. 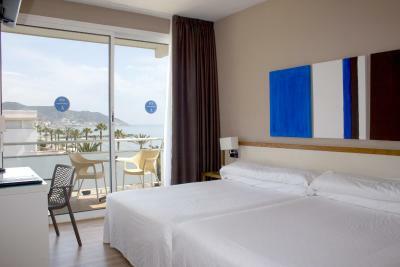 Hotel Subur Maritim offers an excellent location and service, making it the best choice of Hotel to live Sitges while enjoying your life in a unique place. 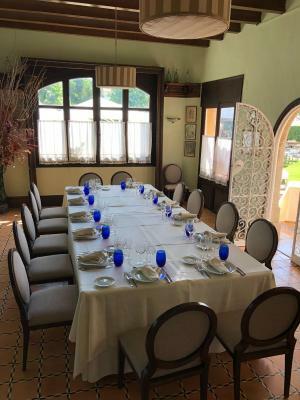 It offers 46 fabulous rooms & Suites, some of them with a spectacular views over the Mediterranean, free parking and free Wi-Fi acces and facilities like Cau del Vinyet Restaurant located in a 1924 structure attached to the Hotel. House Rules Hotel Subur Maritim takes special requests – add in the next step! Hotel Subur Maritim accepts these cards and reserves the right to temporarily hold an amount prior to arrival. The shower area did not have shower curtains due to which the entire bathroom used to be wet the entire day. There was no free drinking water made available to us even on the first day. I would appreciate if the hotel at least gives 1 bottle of free drinking water to guests upon arrival. 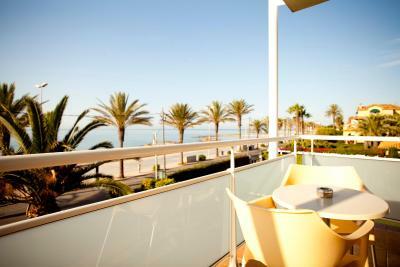 The beach facing rooms have an amazing view of the pristine Mediterranean sea. The staff is super friendly and very helpful. Overall a very good property. The hotel restaurant is very good - better than the hotel itself. Room was not a suite in my opinion. There was no socialising Bar. The hotel advertised a Pool . It was open and 17 C.. Bloody Freezing.. Although there was a 24 hour tea and coffee making facility downstairs, it would also be handy to have a kettle and mugs in the room as well as water. Bathroom could use some reconstruction. would prefer if possible coffee making facilities in the room instead of in the reception room downstairs. The hotel is def not 4 stars!!!! I was really disapointed. Toilet smell on the holway and reception, pictures looking much better than reallity. Beautiful room with a lovely view. The water temperature and pressure of the shower kept changing all the time.